Have a dead battery? Misfiring starter or alternator? For all of your auto electrical repair and maintenance needs, come to Dr. J’s Auto Clinic in Albuquerque, NM 87110. We service your vehicle with care, providing a high level of workmanship you can trust. Dr. J's is proud to be a NAPA AutoCare Center. This means we strive for excellence both in the quality of the parts we install on your vehicle, and a standard of ethics that is required of every AutoCare. This also means our work can be covered by a 24,000 mile / 24 month Nationwide warranty. Dr. J’s Auto Clinic has been serving Albuquerque’s auto repair needs since 1998. 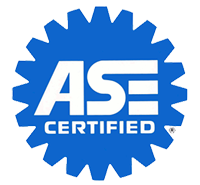 Our team of ASE certified mechanics offer a range of expertise from brakes and suspension to engines and transmissions. If you car or truck has not been operating at its full potential, then you need to pay a visit to the Doctor. Dr. J’s Auto Clinic – your neighborhood NAPA AutoCare Center. If you need auto repair Albuquerque, call the Dr. with two specialized clinics to serve you. Dr. J’s on Girard, South of Candelaria and Dr. Js Transmission. If your car is in ill repair, you need Dr. J’s Auto Clinic, Albuquerque, NM. ©2019. Dr. J's Auto. All Rights Reserved.